Fascinated by unique cultures, Ms Vandiver has dedicated her life as a musician to exploring the world, cello in tow. Described by the New York Times as “an excellent performer” and by the Boston Musical Intelligencer as a musician bringing “a world of emotional meaning to the cello,” her vast experiences have earned her recognition as a soloist recitalist, chamber musician and teacher. Ms. Vandiver’s ensemble experiences include performing with the Houston Symphony, the Baltimore Symphony, the Boston Lyric Opera, the Rhode Island Philharmonic, A Far Cry, the Boston Philharmonic Orchestra, and the BalletX Contemporary Dance Company in Philadelphia. She is also principal cellist of the Encounter’s Ensemble at the Peabody Essex Museum. Ms. Vandiver is an active and in demand teacher. She is currently on the cello faculty at the University of New Hampshire and the New England Conservatory’s Preparatory School. Additionally, she is on cello, solfege, and chamber music faculty for Project STEP at Boston’s Symphony Hall. A noted interpreter of contemporary music, Ms. Vandiver has performed with Bang on a Can, Ensemble Modern, and Ensemble Signal. She has worked closely with Steve Reich, David Lang, John Adams, Michael Gordon, Andrew Norman, Elliott Carter, Gunther Schuller, Julia Wolfe, and Hans Zender. As a Carnegie Hall fellow, she was selected to be the principal cellist of the 21st Century Contemporary Ensemble led by David Robertson and John Adams. Ms. Vandiver was awarded the New England Conservatory’s Gunther Schuller President’s Medal at graduation and was the recipient of the Lotta Crabtree Scholarship. She has completed a Graduate Diploma, Master’s Degree, and Bachelor’s Degree at the New England Conservatory of Music. She studied with Paul Katz, Natasha Brofsky and John Heiss. Her former teachers include Christopher French, Richard Aaron, Hans Jørgen-Jensen, and Ann Victor. For Ms. Vandiver’s concert schedule please visit, www.EmileighVandiver.com. Hailed as a “superb young soloist” (The New Yorker), Canellakis has become one of the most sought-after and innovative cellists of his generation, captivating audiences throughout the United States and abroad. In The New York Times his playing was praised as "impassioned" and "soulful," with "the audience seduced by Mr. Canellakis's rich, alluring tone." In the spring of 2015, Mr. Canellakis made his Carnegie Hall concerto debut, performing Leon Kirchner’s Music for Cello and Orchestra with the American Symphony Orchestra in Isaac Stern Auditorium. Mr. Canellakis is an artist of The Chamber Music Society of Lincoln Center, with which he performs regularly in Alice Tully Hall and on tour. As a member of The Canellakis-Brown Duo, his collaboration with pianist/composer Michael Brown, Mr. Canellakis performs numerous recitals throughout the country each season. A frequent performer at Bargemusic in New York City, he has also been a guest artist at many of the world's leading music festivals, including Santa Fe, La Jolla, Music@Menlo, Ravinia, Verbier, Mecklenburg, Moab, Bridgehampton, Sarasota, and Aspen. He is the co-artistic director of the Sedona Winter MusicFest in Arizona. Mr. Canellakis was a winner of The Chamber Music Society of Lincoln Center's CMS Two international auditions. He was also selected to be in residence at Carnegie Hall as a member of Ensemble ACJW, in which he performed in Weill and Zankel Halls and worked to enhance music education throughout New York City. He is a graduate of the Curtis Institute of Music and New England Conservatory, where his teachers included Orlando Cole, Peter Wiley, and Paul Katz. Mr. Canellakis is on the faculty of the Brooklyn College Conservatory of Music. Filmmaking is a special interest of Mr. Canellakis. He has produced, directed, and starred in several short films and music videos, including his popular comedy web series "Conversations with Nick Canellakis.” All of his videos can be found on his website at www.nicholascanellakis.com. Performed his first concerto with orchestra at the age of seven, Sebastian has since led an active concerto career with appearances in the U.S. and abroad. He won the 2009 Concert Artists Guild International Competition and in April, 2011 gave a solo recital in Weill Hall at Carnegie Hall. He was the 2006 winner of the Boston Symphony Orchestra Concerto Competition and in 2007 was asked to substitute for Lynn Harrell, performing with the Cape Cod Symphony. He first performed at Weill Hall in 2002 and has appeared multiple times on the radio program From the Top, as well as in a PBS documentary filmed in Carnegie Hall. Sebastian has attended many summer festivals, including the Aspen Festival, the Verbier Festival Academy and the International Music Academy of Switzerland, directed by Seiji Ozawa. He finished his studies with Paul Katz at the New England Conservatory in Boston. 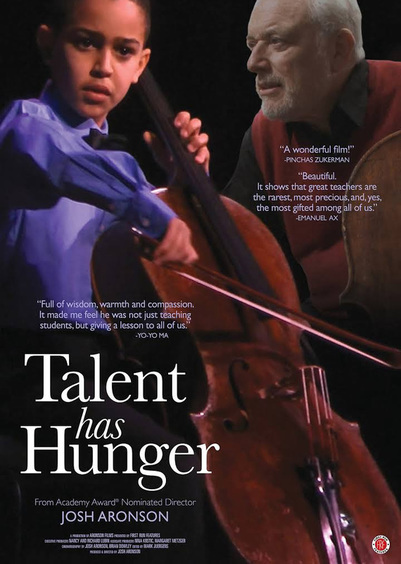 Lev showed an extraordinary interest in music very early and began cello lessons at age three. Presently a sophomore in the Harvard-New England Conservatory dual degree program, he studies with Paul Katz. Previous teachers include Michael Reynolds, Laura Blustein, and Debbie Thompson. He gave his first solo recital at age five and made his orchestral debut at eight with the Cape Cod Symphony. Mamuya has subsequently appeared with many other orchestras including the Boston Pops, the Sphinx Symphony Orchestra, the Florida Orchestra, the Buffalo Symphony Orchestra, the Ann Arbor Orchestra, and the Cleveland Orchestra. An alumnus of the PBS radio program “From the Top”, he was the Junior Division First Place Laureate in the 2013 Sphinx Competition. An experienced chamber musician, Mamuya spent seven summers at the Perlman Music Program under the chamber music tutelage of Merry Peckham. Mamuya is also an active composer, and a founding member of the Composer Performer Repertory Ensemble. He has performed contemporary music of his own and others with this group at the Rockport Chamber Music Festival, New England Conservatory, and the Rivers School. He was commissioned to compose and perform in several pieces for Winsor Music, including a work titled “The Eagle,” written to commemorate the 10th anniversary of September 11th. Mamuya performs on a Moes and Moes cello. Paul is known to concertgoers the world over as cellist of the Cleveland Quartet, which, during an international career of 26 years, made more than 2,500 appearances on four continents. As a member of this celebrated ensemble from 1969 to 1995, Katz performed at the White House and on many television shows, including "CBS Sunday Morning," NBC's "Today Show" and "The Grammy Awards" (the first classical musicians to appear on that show. Katz has received many honors, the most recent including the "Chevalier du Violoncelle," awarded by the Eva Janzer Memorial Cello Center at Indiana University for distinguished achievements and contributions to the world of cello playing and teaching; The Richard M. Bogomolny National Service Award, Chamber Music America's highest honor, awarded for a lifetime of distinguished service in the field of chamber music; an Honorary Doctorate of Musical Arts from Albright College; and the American String Teacher's Association "Artist-Teacher of the Year 2003." Katz is a passionate spokesperson for chamber music the world over, and served for six years as President of Chamber Music America. Katz's recordings include Dohnanyi's Cello Sonata for ProArte Records, and the Cleveland Quartet's recording on Sony Classical of the Schubert two-cello quintet with Yo-Yo Ma. The Cleveland Quartet has nearly 70 recordings to its credit on RCA Victor, Telarc International, Sony, Philips and ProArte. These recording have earned many distinctions including the all-time best selling chamber music release of Japan, 11 Grammy nominations, Grammy Awards for Best Chamber Music Recording and Best Recorded Contemporary Composition in 1996, and "Best of the Year" awards from Time magazine and Stereo Review. In September of 2001, Paul Katz joined the New England Conservatory faculty, following five years at Rice University in Houston, and twenty years of teaching at the Eastman School of Music. Katz has taught at many of the major summer music programs including twenty years at the Aspen Festival, the Yale Summer School of Chamber Music, the Perlman Music Program, the Schleswig-Holstein Music Festival in Germany, ProQuartet in France, Domaine Forget, Orford, and the Banff Center for the Arts in Canada, the Steans Institute of The Ravinia Festival, and is a Director of the Shouse Artist Institute of the Great Lakes Chamber Festival. Paul Katz plays an Andrea Guarneri cello dated 1669. B.M., University of Southern California; M.M., Manhattan School of Music; Hon. D.M.A. Albright College. Studies with Gregor Piatigorsky, Janos Starker, Bernard Greenhouse, Leonard Rose, and Gabor Rejto. Recordings on ProArte, RCA Victor, Telarc, Sony, and Philips. Former faculty of Rice University, Eastman School of Music.